Local authorities in Helmand province confirmed clashes between security forces of Afghanistan and Taliban group and said that at least 65 security forces were killed. Hashim Alkozai, a senator from Helmand province and head of Afghan Senate Defense Committee told BBC that in the Taliban attack in Sangin district, 48 soldiers of army and 10 local police and 7 police soldiers were killed. The head of the Senate Defense Committee added that 38 army soldiers and government supporter forces by the name of Sangoriyan were also wounded. He further added that after Taliban attack, a military convoy was sent to the area who were attacked by Taliban on the way, causing them heavy causalities. 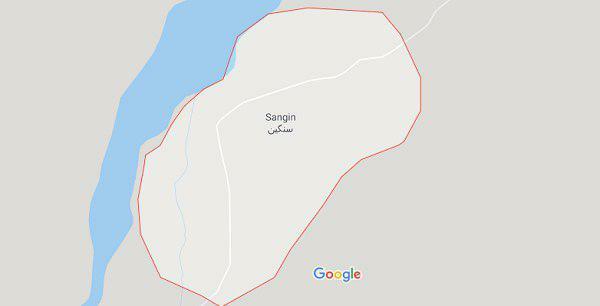 Omar Zowak, provincial governor spokesman confirmed Taliban attack in Sangin district adding that the attack begun on Saturday night in Shakar Shala area. Security officials reported the beginning of of new education year in one of the schools for the first time in 9 years in KUMAR province. 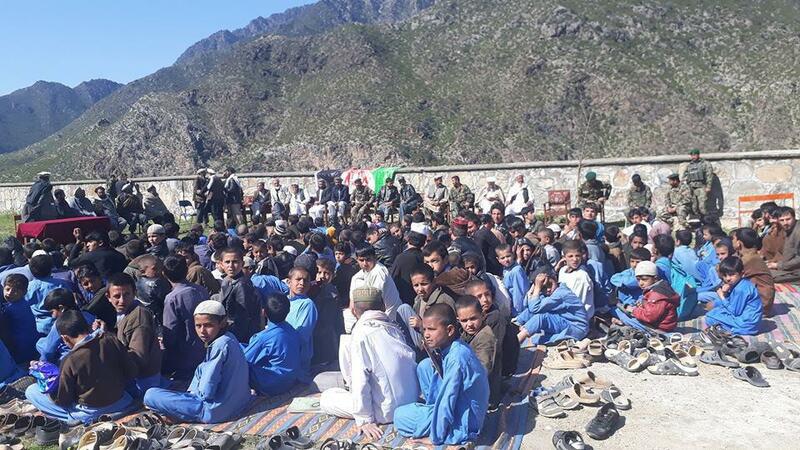 201 Silab Corps said in a report that today in an occasion, Shal and Shangar village school in Asmar district of Kunar province which had been blocked for 9 years and located in the front line of war, were officially opened. The Silab Corps further added that, with efforts of the security forces, the aforementioned areas were cleared of insurgents and provided with the platform for education for the students. Security officials reported that a middle-aged woman was shot by Taliban group in Faryab province. 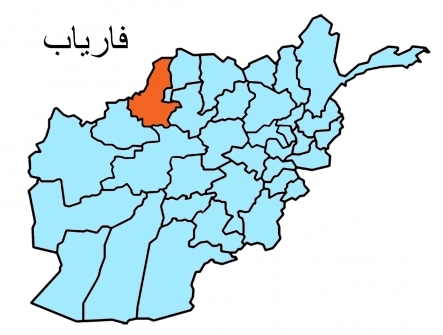 Abdul Karim Yoresh, spokesman of Faryab Provincial Police Command told Reporterly that the middle-aged woman was a resident of Khwaja Sabz Posh district of Faryab Province who had been shot at her home two days ago by a Taliban group called “Mowafaq”. Yoresh added that, police investigation is in going on, on this issue but the causes and motives that they have found until now was attributed to her contact with the security forces. Meanwhile, the press office of the 209 Shaheen Corps in the north said that the woman has left four children. 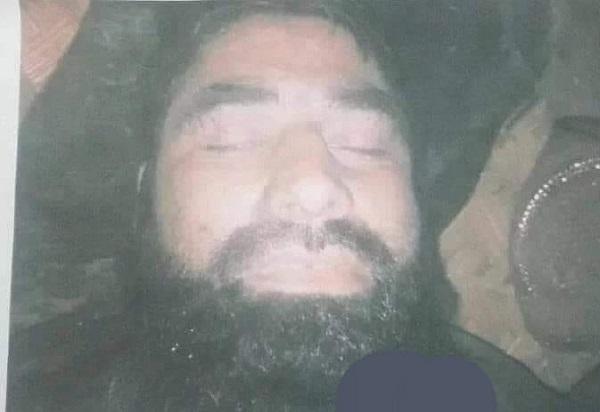 Afghan Army in the north reported that 58 Taliban insurgents, including 9 commanders of the group, were killed in Kunduz province in the last 48 hours. Hanif Rezaie, spokesman of Shaheen Corps told Reporterly that during the operation in the past 48 hours, 58 Taliban insurgents, including 6 key Taliban commanders of Taliban Red Unit were killed in outskirts of city, 6th district and Gul Tapa area of Kunduz province. Rezaei added that these Red Army commanders are Qari Amir, Qari Zaydullah, Qari Yahya, Qari Sohail, Qari Haroon and Qari Jamil. The Office of National Security Council (ONSC) has commented on the extension of military mission by Germany, calling it a ‘strategic decision’ while welcoming the approval of the extension of the mission by the parliament of Germany. According to a statement released by the Office of National Security Council, the government of Afghanistan welcomes the recent strategic decision of Germany for extending its military mission in the framework of NATO Resolute Support Mission. The statement further added that Germany’s assistance continues to Afghanistan in various sectors specifically in training, advising, and assisting the Afghan National Defense and Security Forces. The Office of the National Security Council also added that Afghanistan welcomes the support of the Government and people of Germany to Afghanistan. The Parliament of Germany recently approved the extension of the military mission of German armed forces until 31st of March 2020. 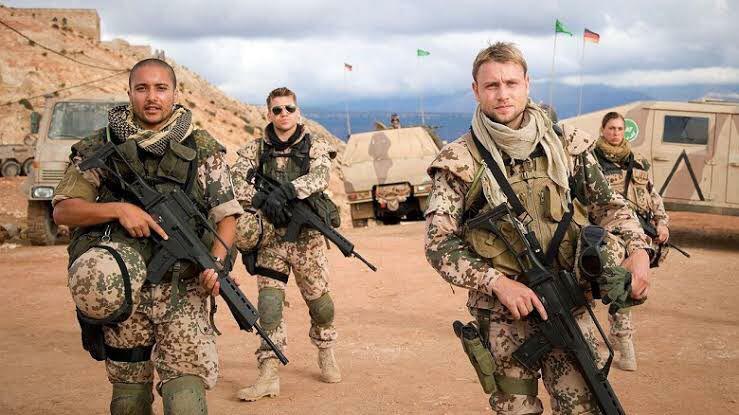 According to reports, some 1300 German troops are stationed in Afghanistan who are training, advising, and assisting the Afghan forces in the framework of NATO-led Resolute Support Mission. This decision of Germany comes as United States is in a hurry to withdraw its troops from Syria and Afghanistan. 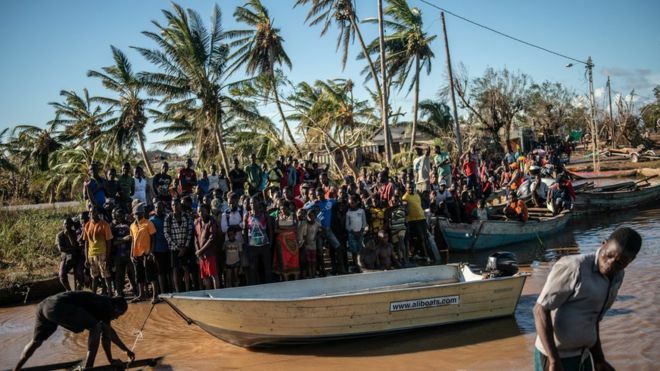 The death toll in Mozambique has climbed to 417 after cyclone Idai hit the southern African country, flooding thousands of square kilometres, the government said Saturday. Cyclone Idai rammed into the coast of central Mozambique on Friday last week, unleashing hurricane-force winds and rains that flooded the hinterland and drenched eastern Zimbabwe. 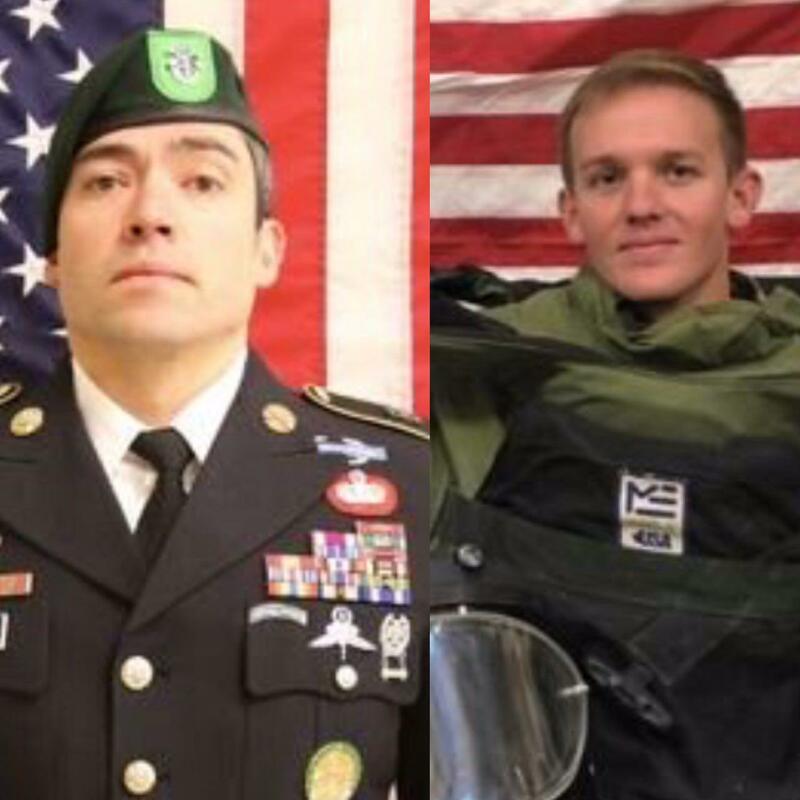 The Pentagon has released the identities of two US service members who died in an operation in northern Afghanistan on Friday. The service members were Sgt. 1st Class Will D. Lindsay, and Spc. Joseph P. Collette. The two succumbed to wounds sustained during combat operations in Kunduz province.